Feel the wrath of my nuts! 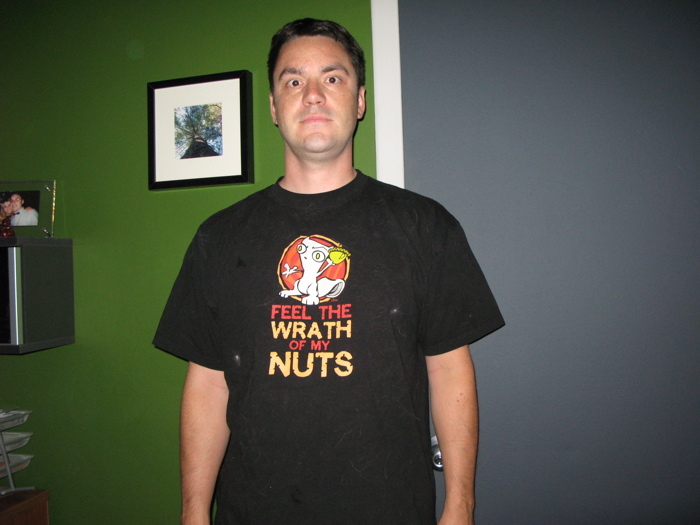 A foamy squirrel t-shirt. I don’t wear this one too often, as its kinda offensive. But it had a squirrel. And here is another reason I don’t wear black. Same shirt at the end of the day. 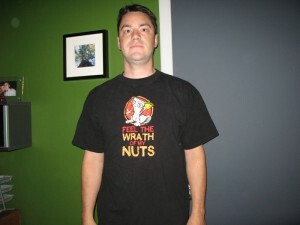 ← 8.8.08 T-Shirt 008 Amazing!